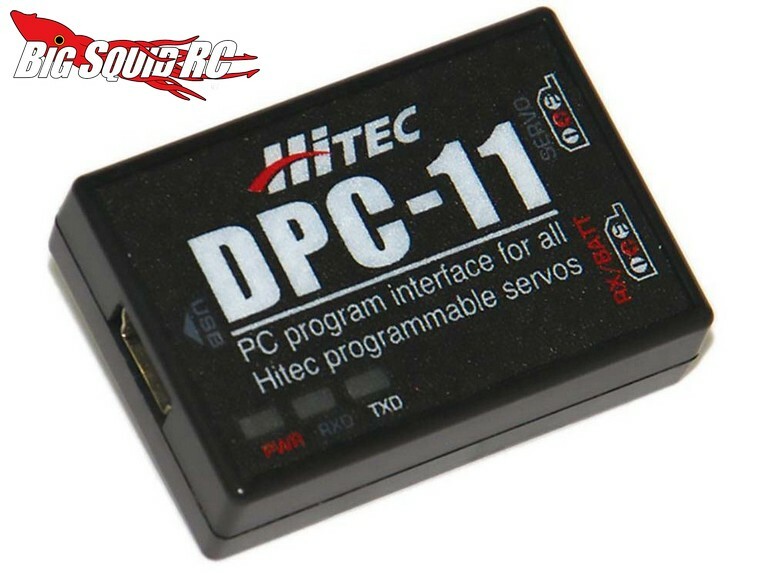 Hitec DPC-11 Universal Programming Interface « Big Squid RC – RC Car and Truck News, Reviews, Videos, and More! New from Hitec is the DPC-11 Universal Program Interface. What does the DPC-11 do? It allows you to fine tune your DXXX, HSB-9XXX, HS-7XXX or HS-5XXX series Hitec servos. By customizing the parameters on your servos you can dial them in for nearly any type of application. The DPC-11 allows you to adjust things like servo speed, dead band, soft start, resolution mode, and EPA/fail-safe position. The interface is priced at just $19, it has a part number of #44429, and they should start shipping later this month. For complete details and specifications simply hit up This Link over on Hitec’s website. Catch up on more Hitec news at This Link on BigSquidRC.